This is football news based blog. I you can find here all update of world and club football news. 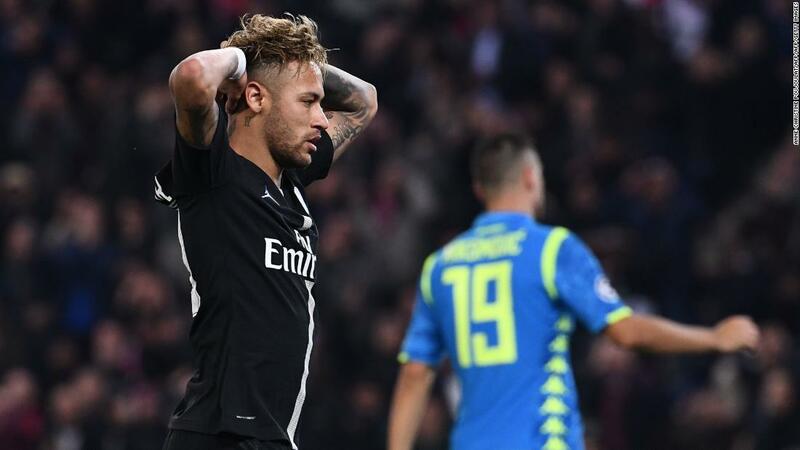 Champions League: Is it time to sympathize with PSG's Neymar? The memes of Neymar rolling in agony along high streets and motorways remain one of the enduring memories of a thrilling World Cup in Russia. Spectacular goals and knee-knocking finishes admittedly made the footballing world smile during the summer, but so too did the #neymarchallenge on social media as fans, multinationals and even Portugal's 911 service mocked the Brazilian superstar's theatrics on the pitch. According to Swiss broadcaster RTS, the world's most expensive player spent 14 minutes on the floor during football's most celebrated tournament. Many of those minutes would have been spent rolling around in apparent agony before getting back on his feet again to continue with the dribbles, flicks and no-look passes.But is Neymar more sinned against than sinning? Should the Paris Saint-Germain forward receive more protection from referees and less ridicule from the masses? 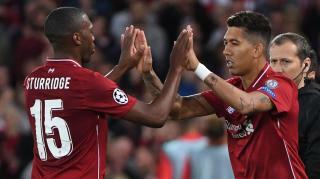 According to beIN Sports data, during the opening rounds of this season's Champions League, the forward has been awarded 20 fouls -- 14 more than his teenage teammate Kylian Mbappe, who is equally adept at bamboozling defenders with trickery and pace, and 16 more than Liverpool's Mo Salah over the same number of games. 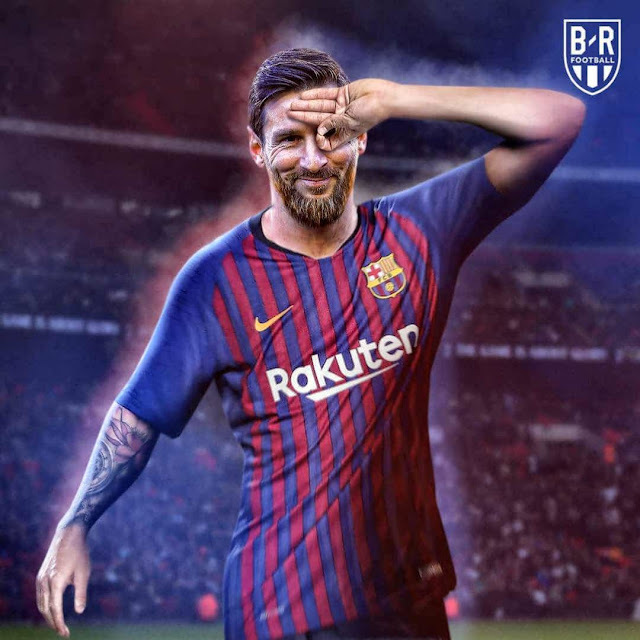 Barcelona's Lionel Messi, who has played just twice in the Champions League this season, has won four fouls while Juventus' Cristiano Ronaldo has won seven over three games. If all players are treated equally, it is a striking statistic that Neymar has won considerably more fouls in Europe's elite competition than the world's other best forwards. 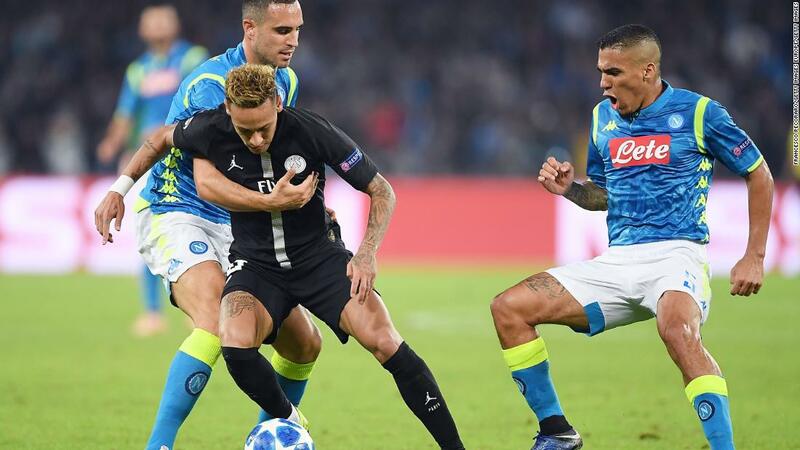 Bought by the French champions in 2017 for $263 million, Neymar cut a frustrated figure in Italy Tuesday as Napoli fought back to draw 1-1 against a PSG side third in a group that also includes last season's finalist Liverpool. There is still much to do if the Parisians are to progress to the knockout stages. Undoubtedly, a man of Neymar's talents, a player who can change a game with a moment of brilliance, is a marked man.It would be foolish for defenses to leave such a player to roam unattended. A sumptuous pass over Napoli's defense to Mbappe early in first half at the Stadio San Paolo illustrated the danger Neymar's creativity alone poses to opponents. He is also lethal in front of goal, scoring three in the opening four group games. Napoli wisely, though Neymar himself would probably say unfairly, paid close attention to the 26-year-old. Towards the end of the match, Neymar -- booked in stoppage time for dissent -- could be seen shouting at referee Bjorn Kuipers and appeared to be held back by Mbappe after taking issue with one of the referee's decisions. Among those is Manchester United backup goalkeeper Sergio Romero, in case they lose Jasper Cillessen as their number two ‘keeper, according to Don Balon. The pair will know each other well from international duty together with Argentina, and in fairness to Romero, he’s often looked a very solid player despite rarely having a chance of claiming a starting spot at Old Trafford. Much of that is down to the heroic displays of David de Gea down the years, with Romero never likely to be able to compete with the world class Spaniard. It could be then, that the 31-year-old would not be so keen on playing second fiddle to Marc-Andre ter Stegen at Barcelona either. Still, Don Balon claim Messi has recommended him as a ‘keeper to target if they have to, while he’s also keen on some other names to come in. The 31-year-old legend is tied to the Nou Camp club until 2021 - but a shock new detail of his contract has emerged. 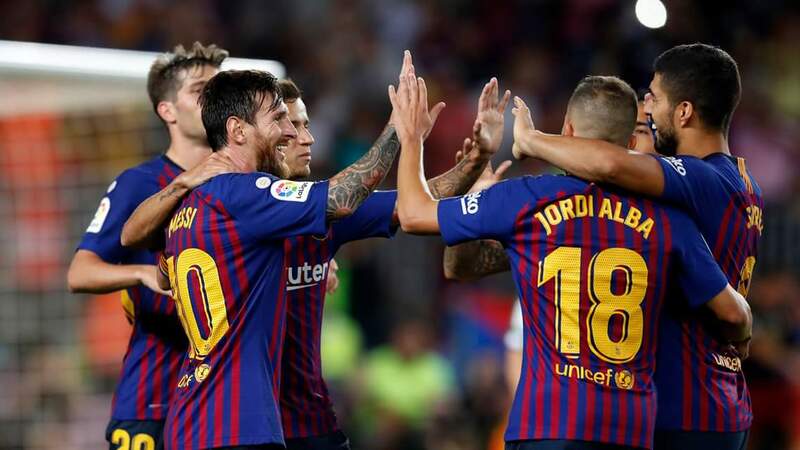 Lionel Messi could leave Barcelona for nothing in as little as 18 months' time - with the Catalan club renewing their efforts to tie him to a new deal. The 31-year-old legend is tied to the Nou Camp club until 2021, but a shock new detail of his contract has emerged. According to Mundo , the striker has a 'special exit clause' in his deal which could see him leave for nothing in 2020. However he could only join a 'non elite club'. This means he could walk away in the manner of Xavi and Andres Iniesta who joined clubs in Qatar and Japan respectively.However the Barcelona board are looking are looking to tie him to a new long-term deal. This could see him remain at the Nou Camp until 2022 or even 2023 by which time he will be 36 years old. They want the Argentinian to be a one-club man and hang up his boots at Barcelona.He currently has a €700m release clause in his current deal which would ward off any would-be suitors such as Manchester City or Paris Saint-Germain. Messi has already indicated that he wants to play on at Barcelona until he feels he can no longer cut it at the highest level. The 'special release clause' is there to give Barcelona legends one last pay day at a foreign club if they've had exemplary careers at the Nou Camp - such as Xavi or Iniesta.Last month David Beckham targeted a sensational move for Messi for his MLS franchise. Beckham is seeing light at the end of the tunnel for his Miami-based team, which will play in the United States' senior league from 2020. He announced earlier this month that the team is going to be called Inter Miami, in a move that will target an international audience.But in a more controversial move, the Mail on Sunday report that he will try and land Messi from Barcelona in a bid to instantly make them one of the most marketable football teams on the planet. Messi could be tempted by a huge offer, as he will be 33 at the time his current deal runs out. 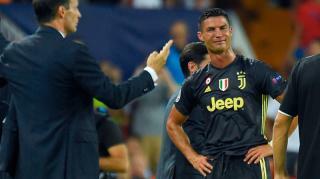 Cristiano Ronaldo's European debut for Juventus wasn't supposed to end in tears. The forward and the Champions League are football's great love affair; two commercial behemoths that keep untold millions in revenues rolling through the gates. The equation is a simple one: UEFA gives its most famous son the stage to shine, and Ronaldo pays the federation back in kind with cartloads of goals and bare-chested celebrations. It is a formula that has delivered the striker four Champions League titles in just five seasons, and all indications suggested that the romance would continue in 2018-19 despite the player swapping Real Madrid for Juventus. Destiny, however, had something else in store for Ronaldo. A red card given for a spat with Valencia's Jeison Murillo 28 minutes into this season's Champions League bow will lead to an automatic one-match suspension, with the potential for him to miss a return to Manchester United next month, and it brought into focus that other, rather more unsavoury side of his personality that is often overlooked. In truth, Ronaldo had cut a fuming figure right from the opening minutes in the Mestalla. Playing up front alongside Mario Mandzukic in a Juve team shorn of its most dangerous playmaker, the benched Paulo Dybala, he struggled to find his place on the turf as Valencia looked to put on the squeeze. Ronaldo ambled from left to right in a bid to look for space, peppering goalkeeper Neto early on with two shots that failed to threaten the scoreline. For a man who proclaimed that his double at the weekend had succeeded in banishing the anxiety that accompanied such a big career move, he was still evidently nervous and uncomfortable. Nevertheless, he came close to racking up an assist early on when a scuffed volley fell kindly into the path of Mandzukic. The Croat, however, made a total hash of his chance, and Ronaldo was left silently scolding his partner as the game remained goal-less. Minutes later, and as the Valencia defence were working miracles to keep the ball out in a frantic scramble, the Portugal captain was to be found prostrate and pleading for a foul after going down in an off-the-ball clash. Cristiano was ready to burst, and it was Murillo who found himself in the wrong place at the wrong time. The Colombia defender tangled with Ronaldo in the area while Juve worked the ball out wide, and upon falling to the floor, the Portuguese grabbed Murillo by the hair. There seemed little violent intent in the gesture, more a case of a petulant star putting Murillo in his place than trying to karate chop his jawbone into tiny fragments. But there was no doubt that it was an aggressive, ugly gesture against a felled opponent, and referee Felix Brych was probably right to take the plunge and send off the Juventus player. Not that Ronaldo saw it that way. 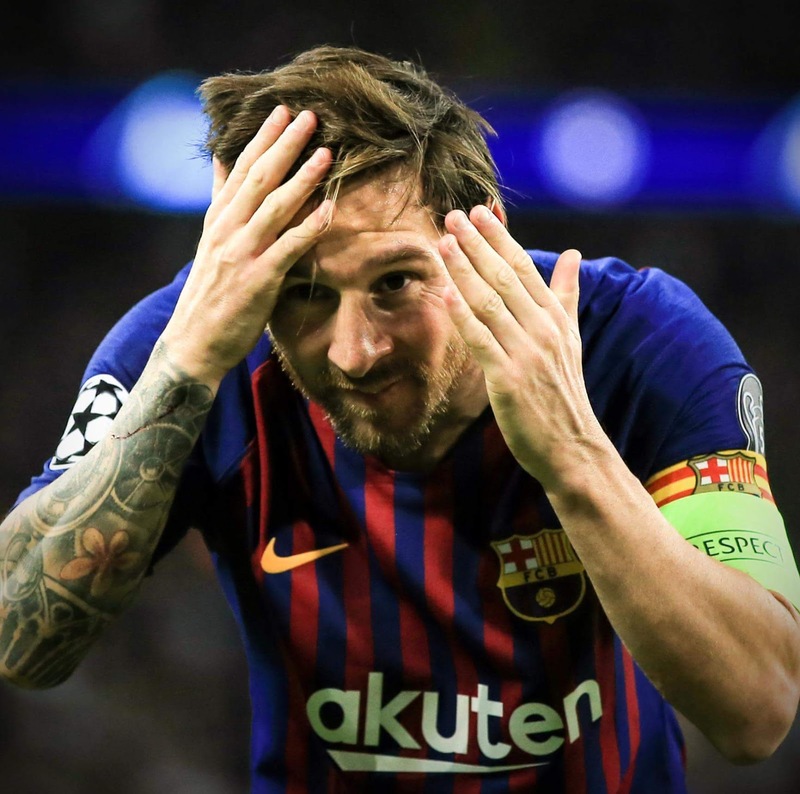 In a performance more likely to win him an Oscar than a sixth Ballon d'Or, he collapsed in the manner of a swooning western damsel in distress, before bursting into tears and leaving the Mestalla pitch with steam coming out of his ears. Parallels with last year's Supercopa clash with Barcelona at Camp Nou are impossible to avoid. Then, Ronaldo received a five-match ban for pushing the referee after receiving a red card, the second yellow for a dive in the penalty area. In that instance, his absence was sorely felt by Madrid, who dropped four points in the four Liga games Ronaldo sat out and never really recovered, eventually finishing a disappointing third behind Barcelona and neighbours Atletico. The Champions League, of course, saved Madrid and Ronaldo's season, as well as cementing Cristiano's legendary status in the competition. They managed to triumph in Valencia without him, thanks to two penalties from Miralem Pjanic, but this was a timely reminder that when it comes to Ronaldo, who has now been sent off 11 times in his career, one must take the rough with the smooth. 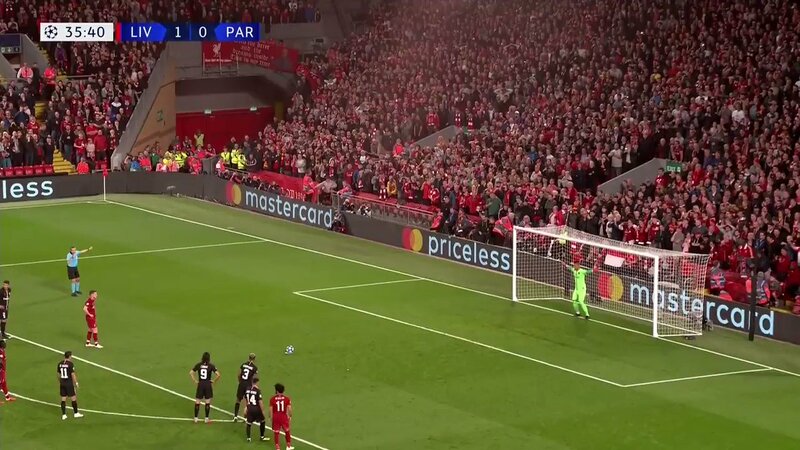 Then newcomer Juan Bernat committed a silly foul on Georginio Wijnaldum, resulting in a penalty kick that James Milner would finish. It's a massive statement win for the Reds, who manage to beat arguably the most talented team in Europe with a convincing performance in attack. It's a match where they held Neymar to nothing, dealt with some adversity late and managed to leave with three points, as the team continues its undefeated run to start the season. Liverpool is now 6-0-0 on the campaign with five Premier League wins on top of Tuesday's. 'I ALWAYS GIVE MY BEST FOR THE PEOPLE THAT TRUST ME!' 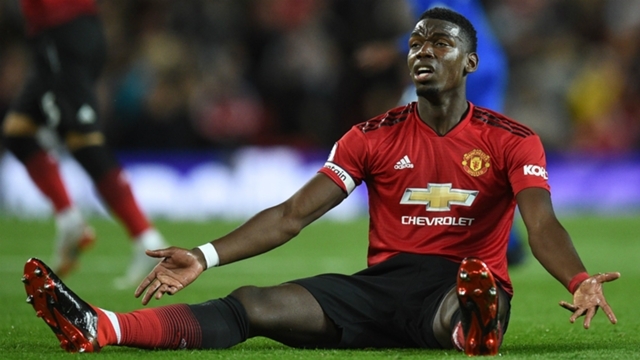 - IS THERE A RIFT BETWEEN POGBA & MOURINHO? Is there a rift between Paul Pogba and Jose Mourinho? The midfielder, who won the World Cup with France in the summer, was a surprise starter against Leicester City in Manchester United's Premier League opener, opening the scoring for his side in a 2-1 win. Rumours of a move to Barcelona and Juventus have surfaced in recent weeks, however, and Goalunderstands the Red Devils are unwilling to let the 25-year-old leave this summer . There have also been persistent murmurings of a broken relationship with Mourinho, with Pogba having failed to hit top form in a 2017-18 season that saw United finish 19 points behind Manchester City in the table. Indeed, Pogba stepped up and played a starring role to help France win the World Cup, scoring in the final victory over Croatia. And he demonstrated just how important he is to United on Friday night, scoring from the spot to put Mourinho's men in front early on and generally controlling play in the middle of the park throughout . Praising his "monster" performance after the game having handed the armband to Pogba, Mourinho told reporters: "[It] was not hard [to pick Pogba from the start]. "The decision belonged to him, because Andreas Pereira comes from Valencia bench as a winger to play number six; Fred had 10 days training, Ukrainian league, comes direct to Old Trafford; Ander Herrera injured. 272 million Embappa going to Real Madrid! Champions league final Real Madrid Vs Liverpool .